Helping restore lives through God's grace is our mission. Our calling. Our privilege. 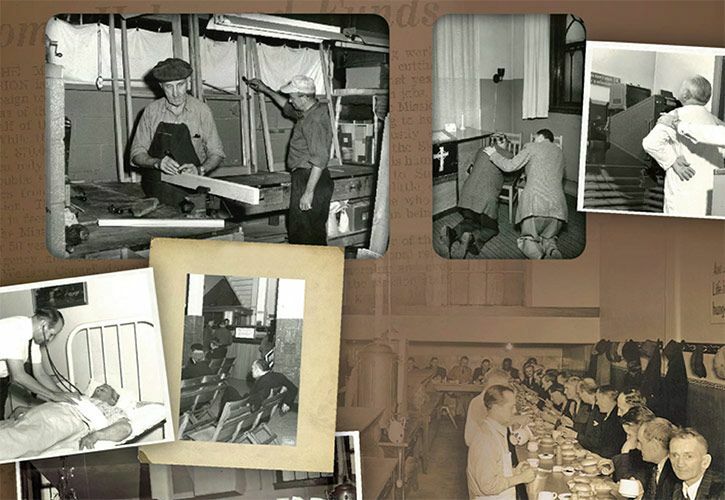 Since 1893, we've worked with the hungry and hurting of Milwaukee, helping them restore their lives and their hope. As their needs have changed, we've changed to meet them. On May 15th, 1893, the Rev. B. Faye Mills and a group of Christian businessmen organize Milwaukee Rescue Mission to help homeless and alcoholic men on the streets of Milwaukee. By working together, they meet the physical and spiritual needs of these hurting men. They also begin a tradition of restoring lives and hope in Milwaukee. After decades of service to Milwaukee, the Milwaukee Rescue Mission is becoming an esteemed institution, providing help to the city’s needy. In addition to the support for men, the Milwaukee Rescue Mission organizes a Woman’s Craft club, and other programs for women and children. These hardworking seamstresses create a role for themselves, providing sewing and clothing for residents of the Milwaukee Rescue Mission. 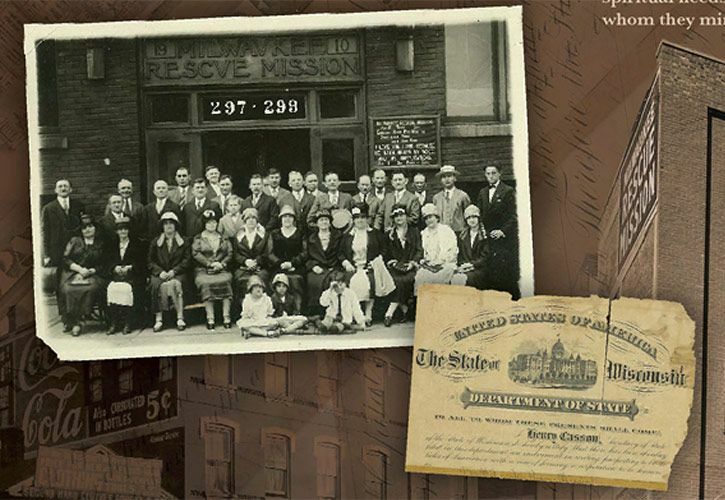 During this postwar era and time of prosperity, the Milwaukee Rescue Mission once again expands the services it offers. Walk around our facilities, and you will see all kinds of new tools and services for the people trying to rebuild their lives. New resources added include an electric organ, craft rooms with power tools, an alcoholic ward, X-ray services for detecting tuberculosis and radio broadcasts. We also help many men find meaningful work in the repair and upkeep of our facilities. Healthcare becomes a greater priority under Superintendent Leger. He sets the goal that every guest of the Milwaukee Rescue Mission will receive a physical examination. To this end, Dr. W. Dudley Johnson (pioneer in open-heart surgery procedures and future Nobel Prize nominee) begins visiting every Wednesday to help the sick and hurting. The Milwaukee Rescue Mission also installs a special program called “The Road Back,” that offers training to men who are working to rebuild their lives. It’s a time of historic moments for the Milwaukee Rescue Mission. We release our first issue of the Milwaukee Rescue Mission Newsletter. With the help of Bart Starr of the Green Bay Packers, more people become aware of the hard work we’re doing for the community. Through it all, we continue in our mission of caring for the hungry and hurting, and helping men reconcile themselves to God through faith and personal growth. 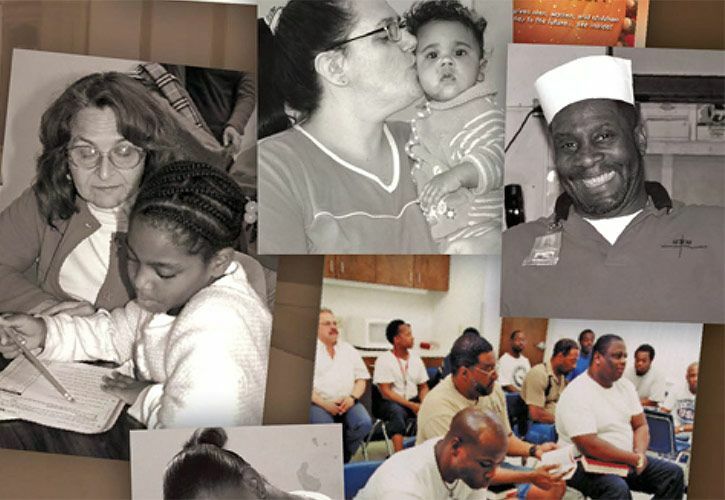 As our community changes, so does the Milwaukee Rescue Mission. In 1982, we acquire Wells St. Junior High for the growing Sunday school and other growing youth programs. In 1986, all Milwaukee Rescue Mission services move to this facility on 19th and Wells. In 1991, we open Joy House for homeless mothers and their children. Joy House offers emergency and long-term programs, and is made all possible through community support. To serve children and teens, we offer a tutoring program, Christian Basketball league, and other programs. Welfare reform brings national attention to the successes of Joy House. The Life Skills Program (now restructured and called New Journey) teaches computer, clerical, and housekeeping skills. To help more children grow up with Christ in their lives, in 2006 we open Cross Trainers Academy, a Christian elementary school. And thanks to a $7 million capital campaign, we raise funds to add transitional living space, and to build education centers and additional program space for Joy House and Safe Harbor.